More Election Wins for CWAers! Air Wisconsin Flight Attendants, members of AFA-CWA, voted 99 percent to authorize a strike. Air Wisconsin provides regional air service for United Airlines. "Enough is enough. Air Wisconsin Flight Attendants are ready to do whatever it takes to get a new contract. We have made every sacrifice to ensure the stability of the airline while management refuses to offer meaningful pay and work rule improvements. Higher pay, no more delay!" said Ernie Lazernick, AFA-CWA Air Wisconsin President. Texas Representative Al Green sent a letter to American Airlines CEO Doug Parker last week urging him to reach an agreement with CWA-represented passenger service agents at Envoy that, "provides fair compensation, a living wage, and benefits for Envoy agents." Envoy agents make as little as $9.48 an hour and have been in negotiations for a first contract for over two years. The next bargaining session is set for January 22-24. From Massachusetts to Maryland, staff at news outlets are ready to improve their working conditions and strengthen their ability to serve their communities by joining NewsGuild-CWA. At the Daily Hampshire Gazette and the Valley Advocate in Massachusetts, a series of decisions by management, made suddenly and without consultation with workers, have raised serious concerns about the publication's future. "No one is asking us our thoughts or opinions on how we operate right now," said Brenda Nelson, the Gazette's librarian. "This union will let us be heard at the highest levels." In Maryland, journalists at the Capital Gazette newspapers, The Carroll County Times, and the Baltimore Sun Media Group have come together to demand better pay, greater representation, and stronger investment in its newsrooms from Tribune Publishing, which owns all three publications. "Though our papers are scattered around the Baltimore region, our dedication to the readers we serve unites us," said Danielle Ohl, a reporter for The Capital. "Because we all value community journalism, we hope it's around for generations to come." The workers in both Massachusetts and Maryland are seeking voluntary union recognition from their employers. Election Day may be over, but the wins for CWAers and all working families keep rolling in as election results are finalized! On Wednesday, the election was called for Democratic congressional candidate Andy Kim, who beat incumbent Tom MacArthur in New Jersey's 3rd District. CWA members in New Jersey worked hard to get out the vote to defeat MacArthur, who made it his mission to try to eliminate coverage for preexisting conditions and allow higher premiums for older Americans. He was the only member of Congress from New Jersey – Democrat or Republican – to vote for Trump's corporate tax cut bill, which provided huge tax breaks to the rich while resulting in increased overall taxes to many residents in New Jersey. CWA members in New Jersey worked hard to get out the vote to elect Andy Kim (left). In Arizona, Democrat Kyrsten Sinema defeated Republican Martha McSally in the U.S. Senate election. CWA members and retirees regularly phone banked and text banked for Sinema – calling union members and talking to them about how she would be a strong voice for working families in the Senate. 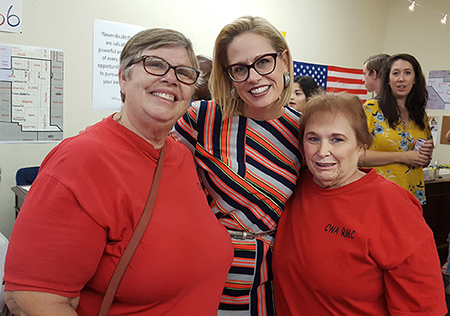 Arizona CWA members and retirees phone banked and text banked to elect Democrat Kyrsten Sinema (middle) to the U.S. Senate. A small boutique software company got a tough lesson about union-busting last week when it agreed to shell out $775,000 to 15 programmers the company fired after its developers announced plans to form a union with NewsGuild-CWA. The 15 former employees of Lanetix comprised the firm's entire non-management programming staff. To fight the firings, CWA filed an injunction in court and filed a complaint with the National Labor Relations Board (NLRB). Most of the fired employees were quickly hired by other tech companies, but the workers kept up their fight for justice. "The CWA stood with us while the NLRB spent the better part of the last year investigating the case," said former Lanetix developer Sahil Talwar. "This is a landmark win for tech workers. We have shown what can be accomplished by standing together and standing strong." The $775,000 settlement restores the pay the workers lost and compensates them for their unjust treatment, illegal firing, and financial hardship. The settlement also requires the company to remove the workers' firing from its records, and post a statement at every Lanetix location detailing workers' right to organize a union and outlining the terms of the agreement. AFA-CWA Flight Attendants took their fight for fair treatment at regional carriers to Washington, D.C., today. 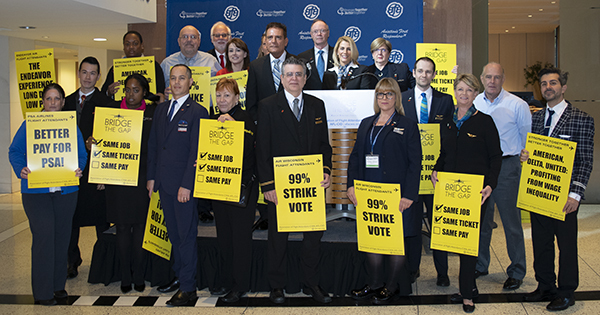 Flight Attendants from 20 airlines and supporters rallied in support of workers negotiating at Air Wisconsin (United Express), PSA (American Eagle), and Endeavor (Delta Connection) – and to raise the standard for all Flight Attendants and aviation workers. Rally attendees called out the unjust lower pay, benefits, and work rules for Flight Attendants and aviation workers on regional jets who are employed under the United, American, Delta, or Alaska brands. The same passengers buy the same tickets for the same price on the same routes – but the workers are "worth" 45% less, according to the industry. AFA-CWA's #BridgeTheGap campaign is about ending this inequality and threat to all Flight Attendant jobs through negotiations, legislative action, and organizing. AFA-CWA Flight Attendants rallied to raise the standard for all Flight Attendants and aviation workers. Wildfires have devastated more than 200,000 acres in Northern and Southern California and destroyed thousands of homes. You can help by contributing to the CWA District 9 Disaster Wildfire Relief Fund, which will go directly to assisting CWA members who have been affected by this disaster. 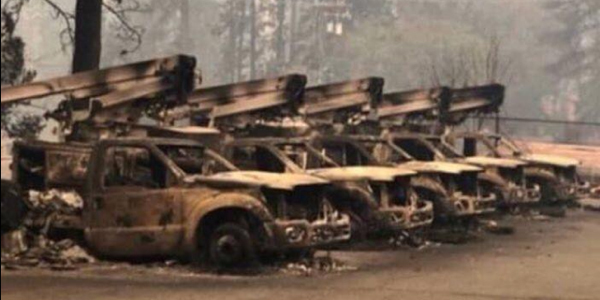 AT&T trucks destroyed by the wildfires at the Paradise, Calif., yard. More than 550,000 postal workers currently benefit from a union contract, but if President Trump's disastrous plan to hand the U.S. Postal Service over to private corporations goes through, they will see their wages fall and their benefits and protections disappear. The money these jobs bring to local communities will instead be funneled to Wall Street investors and corporate bottom lines. CWA members stand in solidarity with working people at the Postal Service and everyone who relies on the U.S. Mail. 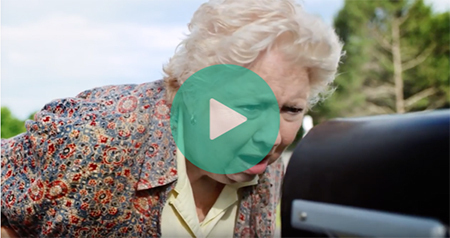 Check out the new video ad that the American Postal Workers Union and the National Association of Letter carriers created to spread the word about the consequences of a postal corporate takeover and share it with your friends to help stop this attack on working people.